For three years, we lived next to a haunted house. Okay, it really wasn't 'haunted'. But strange things went on there. We lived on a street of tiny, beautiful starter homes. Less expensive and perfect for people living on a lower income. They were filled with senior couples and young families. We fit into the second category. The house beside us, whose front porch I could see from my kitchen window, was home to a little elderly couple. Then, one day, I noticed that two young girls were going in that front door. I should mention, here, that I spent a lot of time at my kitchen window. It was over my kitchen sink. For many months, we saw those girls regularly. Then, suddenly, more people appeared. A young woman with tattoos, piercings, a neanderthal whose whose origins were questionable, and a baby named Levi. Then I realized that I hadn't seen our elderly couple in quite some time. In fact I never saw them again. For several months the two young girls and the couple with their baby came and went. Then two young boys, similar in age to the two young girls, appeared. And the two young girls stopped. Now, as near as we could figure, the young couple and their baby and the two young boys lived there. One morning, I opened my front door to a very tall police officer. “Do you know the people who live next door?” he asked. “That house?” I asked, pointing. “Come with me,” he said. He led the way to the house. I stopped in the front doorway. I've always wanted to use that word . . . The cute little house had been destroyed. Cupboards had been ripped down off the walls and shredded into matchsticks. Every single wall and door had been punched out. The bannister ripped off the stairway and broken. Toilet ripped off the floor and thrown out the window. And, over the din of five kids and seven day-home kids, I had heard absolutely none of it. Obviously someone had been very angry. For six months the little house remained empty. Then, one day, crews appeared and effected repairs. And, finally, a sweet young couple and their baby moved in. Usually in the wee hours of the morning. One morning, after breakfast, I was again at my post, hands in the sink, when a police car, followed by a van pulled up next door. Two policeman, one carrying a large camera got out. Oh, no. Someone's killed someone, I thought. The two went into the house. Sometime later, more police cars arrived. It took me a while to notice because I had the phone and was sitting on the floor calling my husband. I ended my phone call and stood up. Just as the front door opened. Carrying two large, beautiful, healthy marijuana plants. He was followed by another, carrying two more. In all, I counted 16 plants. Okay, not what I expected. The officers stowed the plants in the van and left. I must admit that I was quite surprised when things next door became more or less normal for a while after that. Then the fights began again. One particular night, we heard the loud slam of a door. The husband had pushed his wife outside and locked the door. Soon we heard the starting of a vehicle and the squealing of tires. For a few weeks, the young husband and the baby continued to live there. I couldn't take it any longer. Who needs TV when one has a kitchen window?
. . . or you could just throw it at someone . . . In high school, amid the myriad choices, there was one class everyone was expected to take. None of us could understand why. It was a useless class. What on earth would we ever need it for? It's not like it had any practical applications. The colossal waste of time. But we were, if nothing else, dutiful. Daily, we would report to our teacher. Then scurry to get the best machine. I should explain, here, that the machines we used were all elderly 'Olivetti Underwoods'. Capable of jamming if any two keys approached the action zone at the same time. And able to take whatever abuse we chose to mete out. And, believe me, that was Abuse with a capital 'A'. One friend would systematically pound on her machine for every mistake she made. And made the typing of the quick brown fox jumped over the lazy dog not quite so mundane. Daily, we were taken through exercises designed to improve our accuracy. Our ability to type while looking anywhere other than our keyboard. None of which were my forte. Our teacher would stand at the front of the room with her trusty little stopwatch. Dozens of keys would begin clicking. Okay, another thing I should mention is that manual typewriters, at least the ones we used, were noisy. All of us typing together would constitute what could only be considered a 'din'. Then we would roll out our paper and check for mistakes. This is where I always came to grief. Well, one of the places. I just didn't ever hit the right keys. Of all the kids in the class, I probably scored the worst. Oddly enough, I'm the only one who now makes her living . . . typing. P.S. 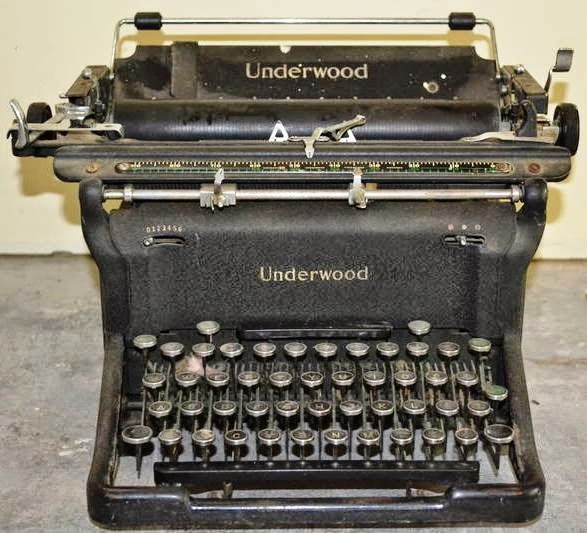 Every time I see an old Olivetti Underwood, I get all misty and nostalgic. Go figure. Labels: Colossal waste of . . . usefulness. Picnics are a fixture of the great Canadian summer. Something anticipated throughout the long, dark winter. The reward for spending months huddled around the wood stove. But Canada does have winter. And Canadians definitely look forward to summer. The trouble with picnics is that they are so dependent on so many factors. For instance, it's rather hard to picnic in the rain. Though it has been done. Wind, too can play havoc with one's plans. As well as one's picnic blanket, napkins, paper plates. But one of the most insidious of picnic problems is the uninvited guest. And, believe me, they show up for every picnic. They show up if a picnic is merely being contemplated. I'm sure they have poked their noses in at your picnics. And I do mean poked. Those little, lighter-than-air messengers of doom. High-pitched precursors to prolonged itch and expressive words. Known to achieve sizes heretofore only seen in the pre-Cambrian days. With the ability to carry off unsuspecting small animals. The reason Canadians wear their winter gear year round. And learn to eat quickly and with one hand. While the other hand feverishly stands guard . . .
Their entire family had turned out. Enjoying the beautiful day and fresh air. And generally doing those things that make a picnic so enjoyable. Grandmother was seated at one of the many picnic tables. With a sesame seed bun. In the company of one of her young grandsons. That's when the uninvited guests arrived. One particularly determined individual was making life miserable for said Grandmother. She lifted a hand and grabbed at it. Now the normal hand motion is: Grab. Look. And if one is successful, Smash. She completed the first two manoeuvres. But she did see a sesame seed, stuck to her finger. Which she then, happily, licked off. Now I should probably mention, here, that the grandson was seated opposite, watching his beloved grandmother. I probably don't have to describe what he thought he saw. His horrified expression and the words 'Grandma! Yuck!' which burst out of him alerted her to what he was seeing. And peace and appetite were restored. But she raises an important point. Instead of making mosquitoes the uninvited guests at a picnic, why not make them the picnic? Will get you this . . . Maybe . . .
For over twenty years, we ran a family business.Mikey's Music Machine. We were DJs, specializing in family dances. We had . . . fun. Running a family business is wonderful in many respects. Dealing with telephone solicitors isn't one of them. With my apologies to anyone reading this who may have 'telephone solicitation' on their resume. One particularly persistent individual had been on the phone with me for longer than I cared to talk to him. Which was more than five seconds. He wanted to sell our company pens. 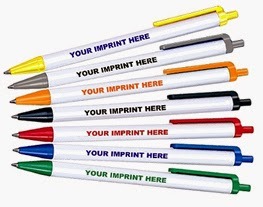 Pens with 'Mikey's Music Machine' printed in a number of different fonts. On an even greater selection of backgrounds. It was there I stopped him. I really don't know what path the conversation had taken, but it was definitely not the one that we had started out on. Time to get off the phone. Yep. Running your own family business. 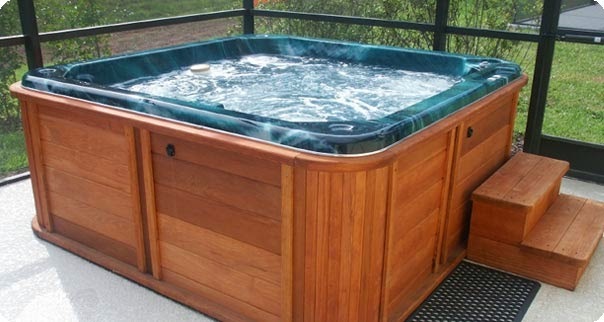 Labels: Must have own hot tub . . .
Hopefully to stay for a while . . .
For over twenty years, my Husby served as Scout supervisor. This included acting as a leader on numerous scout camps. A true test of one's manhood. Or at least one's patience and endurance. These camps were held, invariably, in the great outdoors. Woods. Mountains. Streams. The scouters glimpsed many, many of these latter. But the animals they saw most were the cute, little furry ones who ran in and out of their campsites. Made messes. On one camp, there was a particular little scamp who was a little bolder and craftier than others like her. She got into one too many bags of treats. One of the scouts - who had aspirations to play major league - threw a rock at her. I don't know which of them was the most surprised. Husby looked at the chagrined boy and decided this was a perfect teaching moment. One did not waste what was given in the woods, he told the scouter. He made the boy skin the squirrel out. Unfortunately, the lesson was rather lost. It was a young squirrel, tender and succulent. The boys talked about the incident throughout the rest of the camp and into the next season. Attended by the younger brother of the first scout. Who now had some big shoes to fill. Again, there was an abundance of squirrels. Took aim with his rock. And hit it with one shot. After enduring the getting-to-be-standard lecture from his scouter, he skinned the squirrel out. And suddenly discovered that not all squirrels are the same. This one, a rather elderly male had been surviving on winter fare and was . . . nothing like the first. Tough, stringy and decidedly . . . un-tasty. Unhappily, he chewed his way through it. Then hung up his stones and throwing arm for good. Some records just aren't made to be broken.